Studies indicate that forty percent of the population might be at risk of a vitamin B12 deficiency. Vitamin B12 deficiency can cause memory loss, dementia like symptoms, does cause shrinkage in the brain, and can cause mean and challenging behavior. Several years ago I started reading up on all the B vitamins. I learned vitamin B12 deficiency is wide spread especially among the elderly. It is easy to understand why. If you don't eat foods that are rich in vitamin B12 you won't get enough into your body. I also learned that as you age your brain shrinks. Baby boomers and dementia caregivers should pay attention to this information. The Framingham Offspring Study found that Vitamin B12 Deficiency is a big problem. How bad? As many as forty percent of the population might be at risk of a vitamin B12 deficiency. With that in mind, I believe every person over the age of 60, and especially Alzheimer's caregivers, should consider B12 shots, and should focus on the need to get ample amounts of B vitamins into their body. 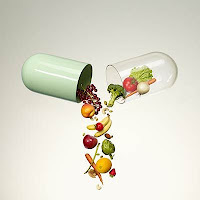 We need our Vitamin to operate efficiently in our caregiving efforts. There are studies that show that vitamin B deficiency can cause moodiness and depression like symptoms. Is your dementia patient moody, challenging, hard to deal with at times? Do you feel tired and worn out? Learn More - What is a Memory Care Facility? My mom, Dotty, received a vitamin B12 shot every month for 6 years. While there is no conclusion evidence, I believe it helped improved her energy level and behavior. I also believe it could explain in part why she continued to read, speak, and function at a level higher than would have been expected by her test scores on memory test like the MMSE. Dotty scored a 14 (moderate to severe dementia) in December 2009. Nevertheless, she was still reading, singing and using her hands to color in 2012, just months before she died and went to Heaven. In my (our) all out battle to delay the effects of Alzheimer's on the brain, I believe vitamin B was a critical part of our overall routine to accomplish that mission. I am not a doctor, however, I believe every dementia patient should receive a B12 shot monthly. Alzheimer's patients just don't eat enough, or don't always eat the right foods, to insure they are getting enough B12 into there body. Why not consider asking your doctor for vitamin B12 shots to raise the level of B12 in your body, and in the body of the person you are caring for. Will it help? Will it change the caregiving dynamic? Will it help improve behavior and slow the loss of brains cells of a person living with dementia? I suggest you discuss this with your doctor. You might also want to discuss this is support groups and share on Facebook.